It’s very rare that I stop in anywhere twice. There are just so many places to experience that I’m almost always off to see some place new. 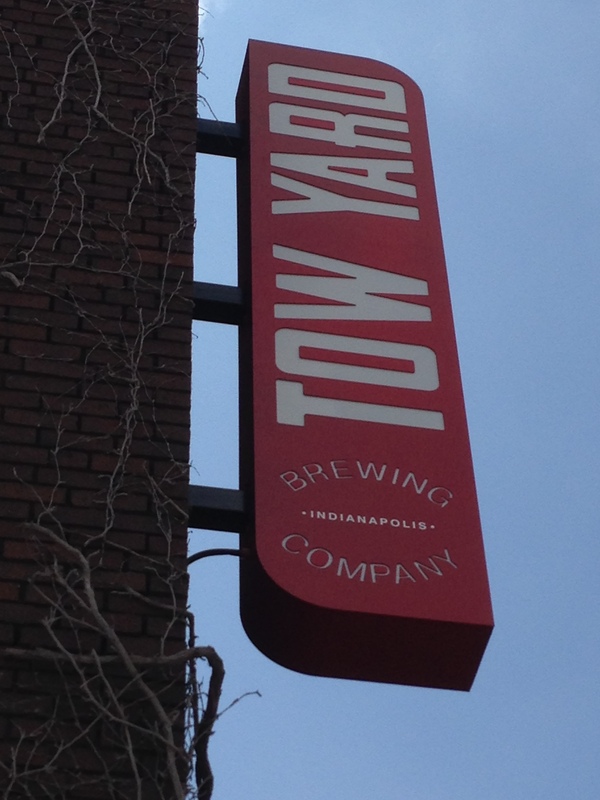 Well, I broke my habit and stopped at Tow Yard Brewing Company in Indianapolis, Indiana twice. 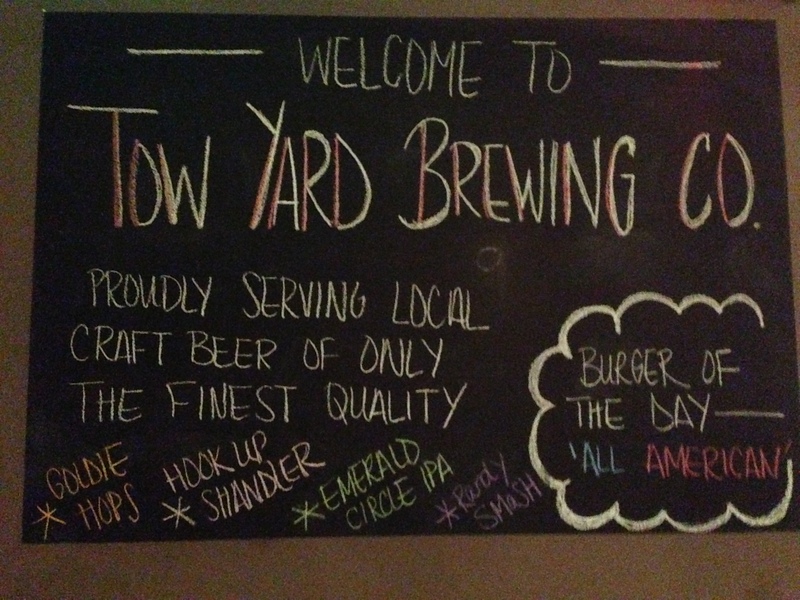 I stopped late last night and enjoyed a Randy SMaSH (Singe Malt and Single Hop) which was a really tasty beer. 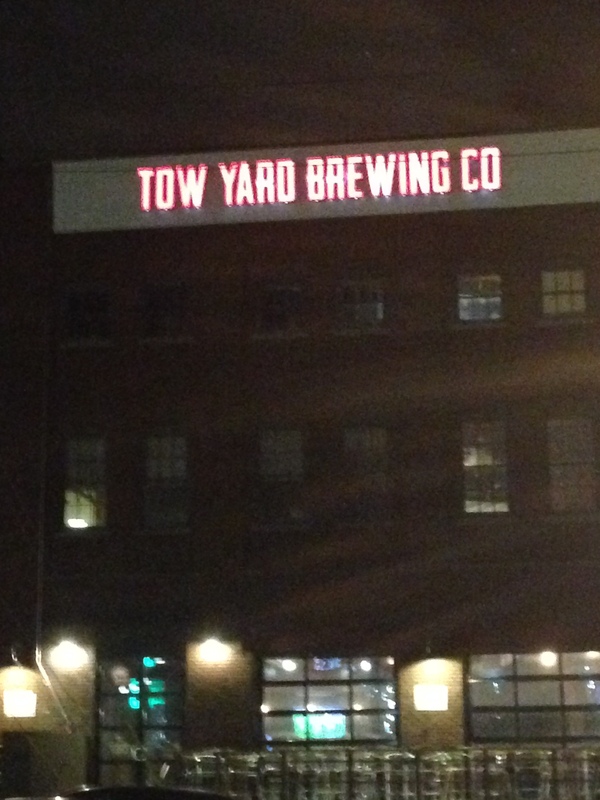 Not too hoppy and not too malty. It was juuust riiight! 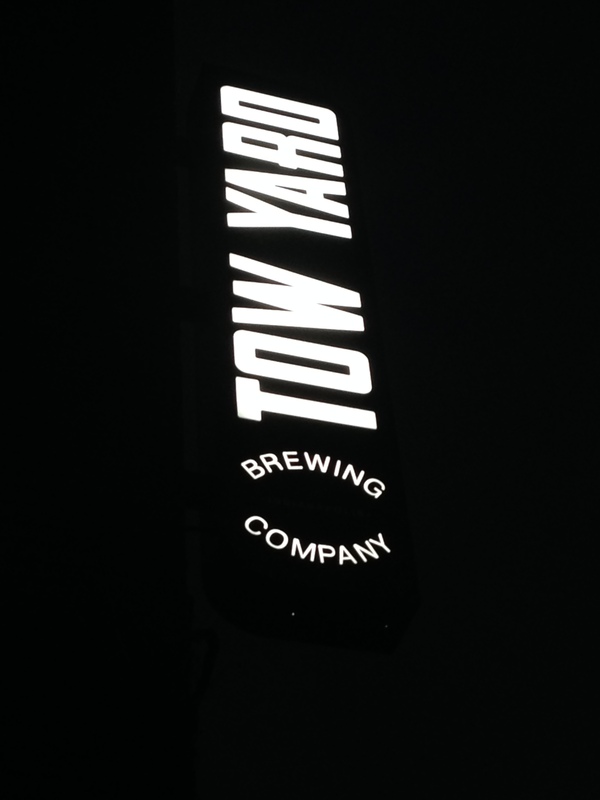 And I liked Tow Yard Brewing Company so much that I walked a mile today to have lunch there at The Larder where I enjoyed a Big Fat Greek Salad. This was truly a delicious salad. 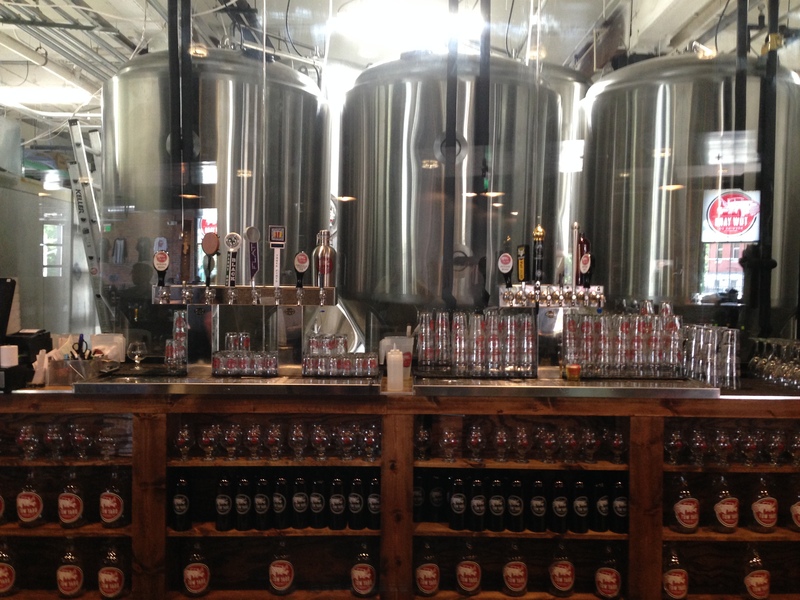 I also tried the Red Cream soda and the Ginger Beer soda – just samples – and they were both delicious. 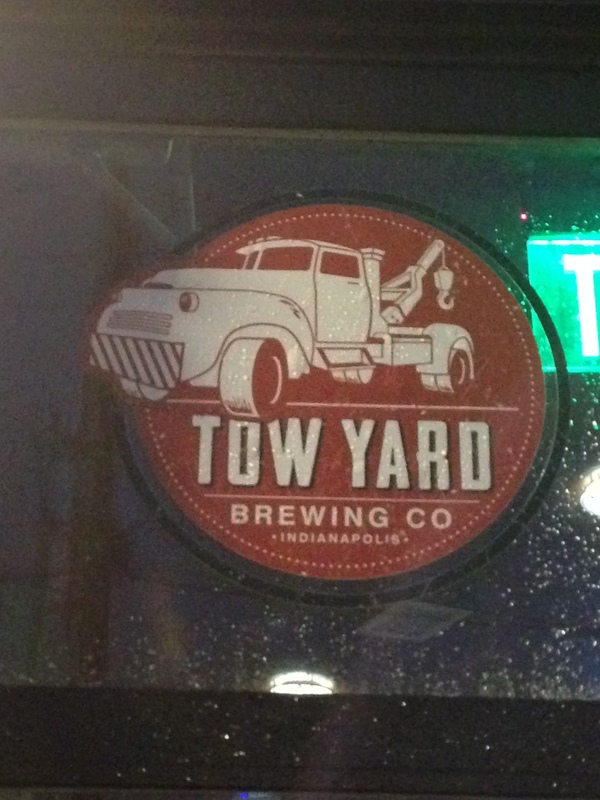 Tow Yard Brewing Company is an excellent craft brewery and also has an excellent restaurant. The atmosphere is wonderful and would be delightful for the happy hour crowd and a family having a meal with kids. Plus, the kiddos will love the natural sugar sodas. The areas are separated and provide the perfect location for a variety of people. They also have outdoor seating. After lunch today, before I headed out, one of the owners, Jim, approached me and asked me how I heard about the place. We had a nice conversation and he is a great guy. 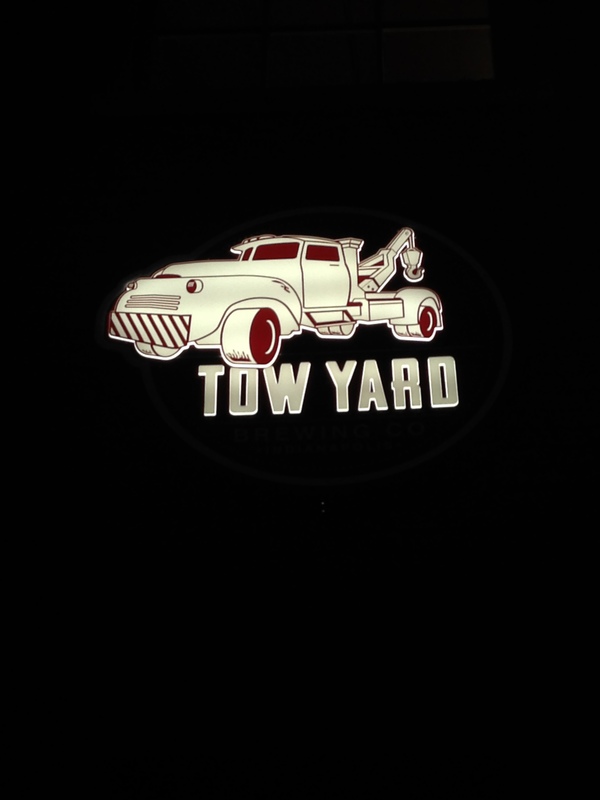 It’s clear that he and his team are really putting their heart and soul into Tow Yard Brewing Company. 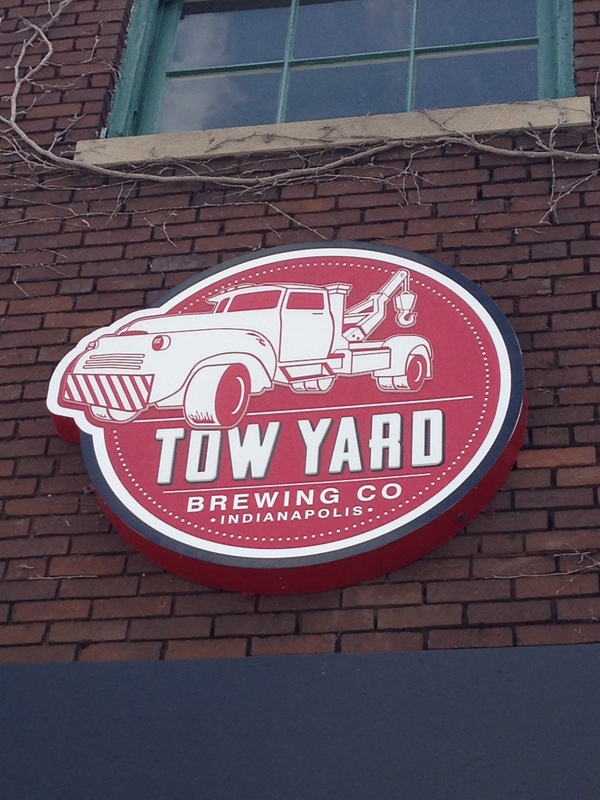 If you’re in Indianapolis you need to check out Tow Yard Brewing Company. 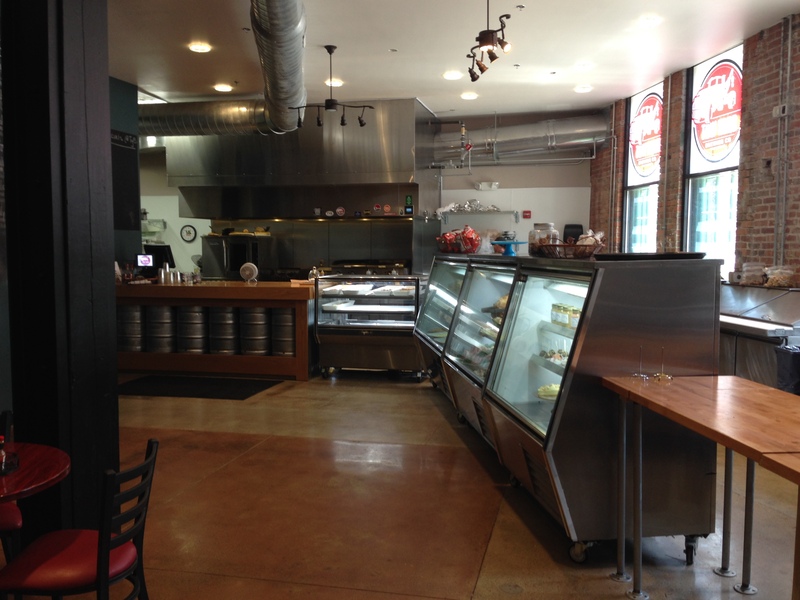 Update – I went back for lunch again and enjoyed the Gatsby sandwich and a Hook-Up Shandler. The sandwich was delicious. And the Hook-Up Shandler is a mix of Goldie Hops beer and Citrus soda – very light and refreshing!